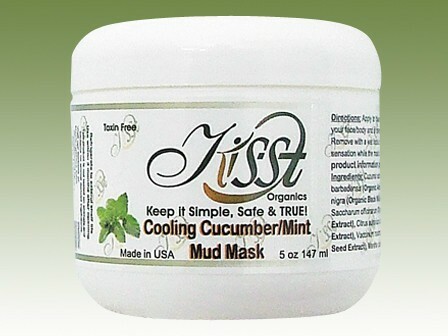 KISST Organics Health & Wellness Blog - Does Your Skin Need A Detox? Skin needs to breathe. Often people will experience trouble with their skin in the form of clogged pores, acne, dry skin, boils, oily skin, psoriasis, eczema , dermatitis or a host of other problems. Detoxification of the skin through the use of a clay mask will help to rid your skin of the problem areas. Clay can absorb up to 200 times it's own weight in water. It draws dirt, toxins and impurities out of the skin as it promotes circulation. Clay is also an anti-inflammatory to decrease swelling, redness and break outs. It will soothe, hydrate and protect sensitive skin. Clay is also good for drawing out the sting from insect bites and helps in the healing process of athletes foot. When selecting a good clay mask make sure you check the ingredient label. Avoid masks containing parabens which are known toxins. on your face and/or body.